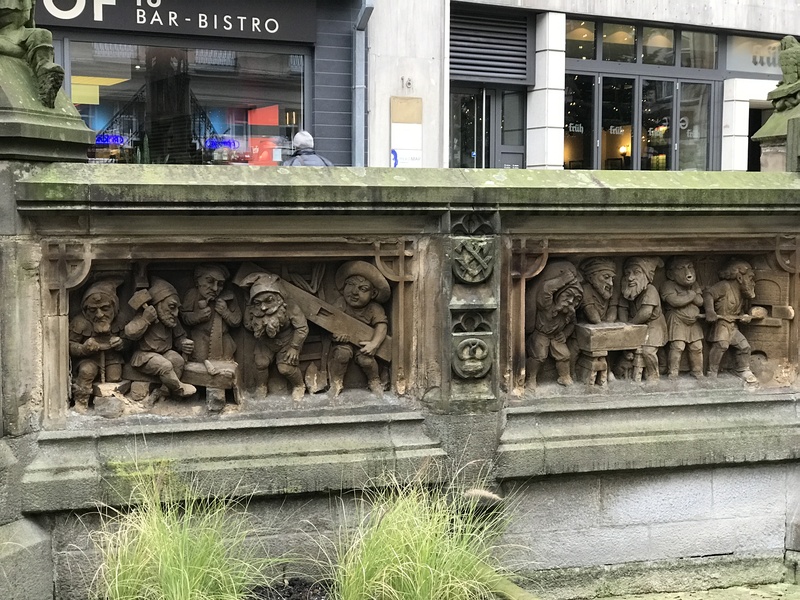 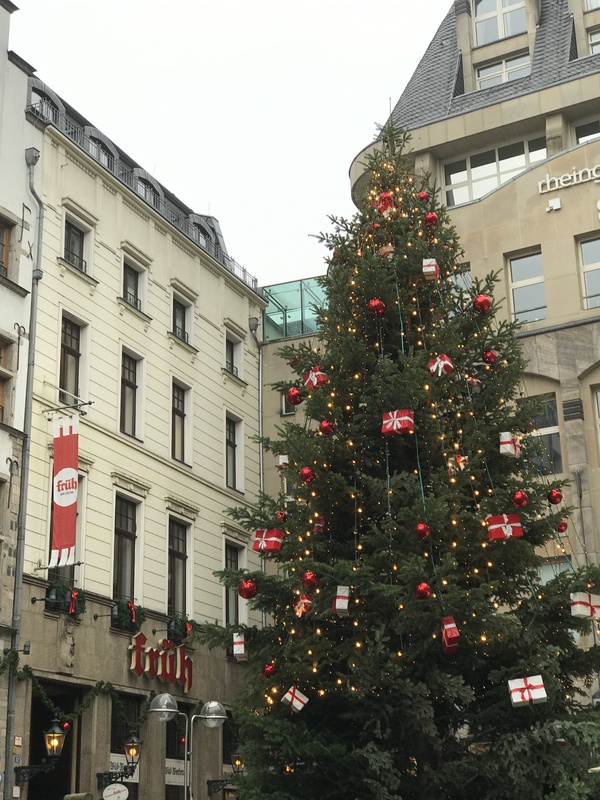 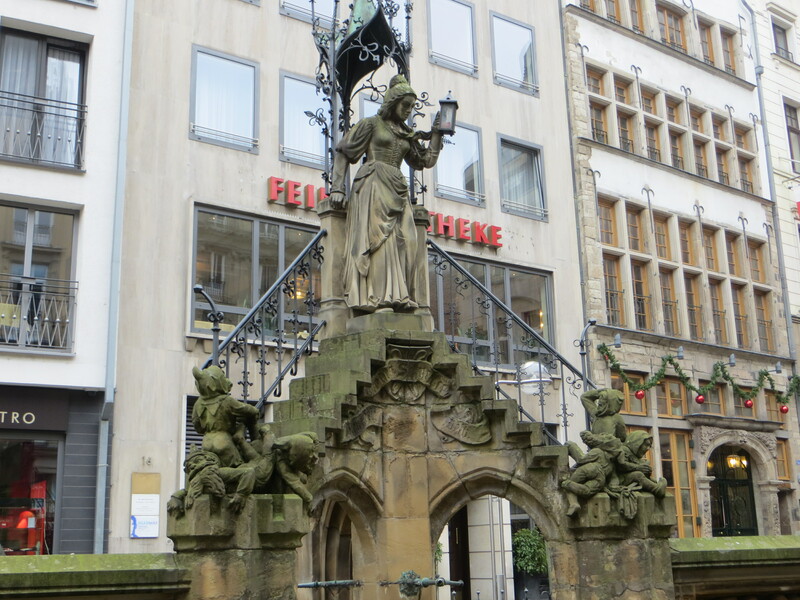 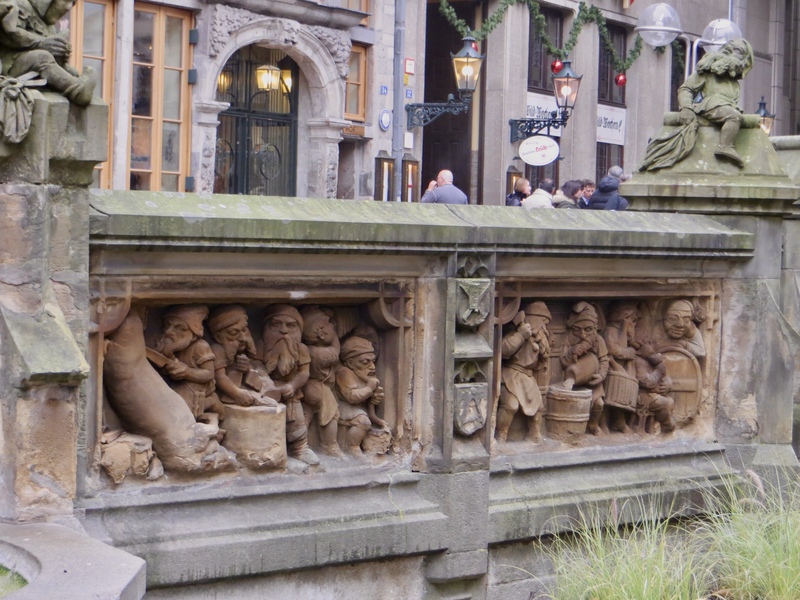 We experienced Cologne as one of the stops on our November 2016 Viking River Cruises Rhine Getaway trip from Amsterdam to Basel. 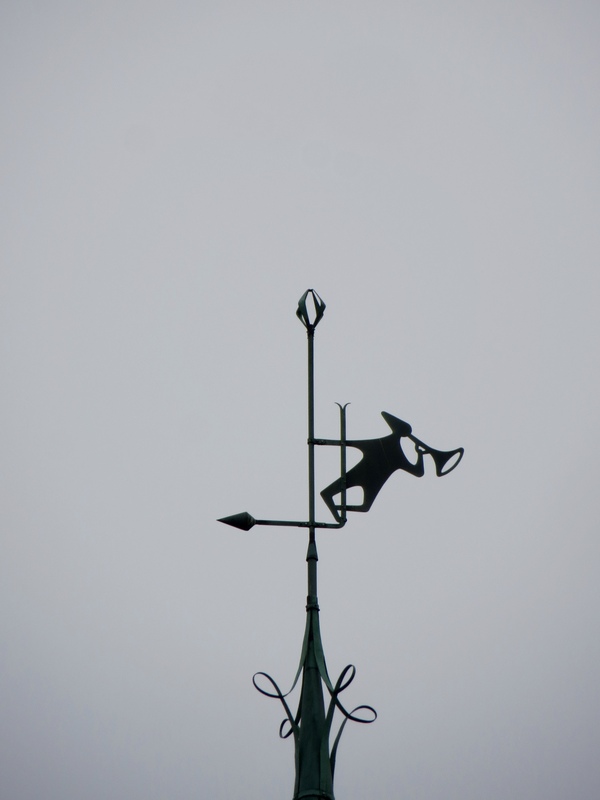 The weather had changed from our relatively sunny Kinderdijk stop the day before to a slightly drizzly and definitely foggy day. 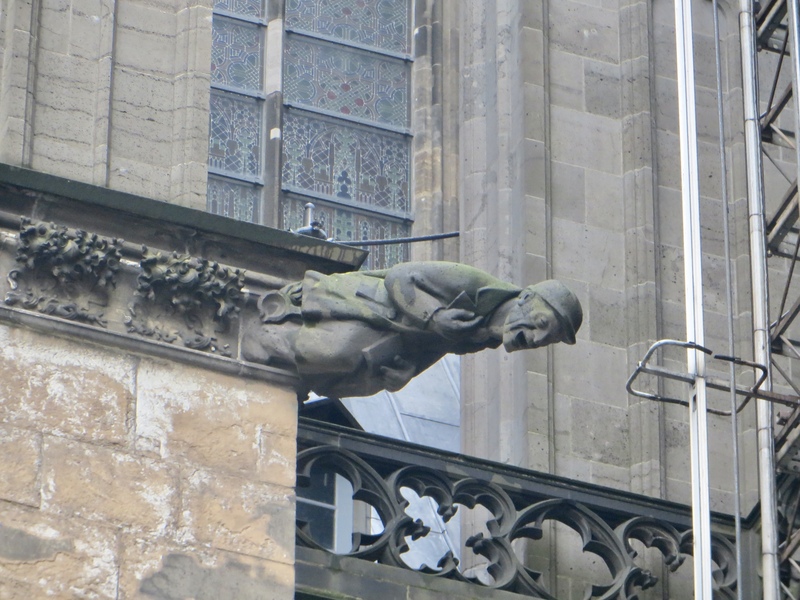 Cologne Cathedral was the first stop on our city tour. 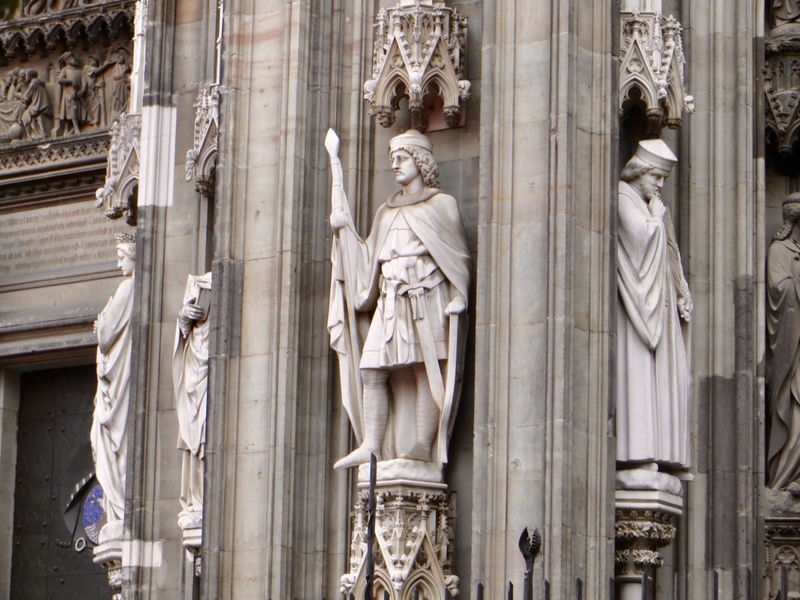 This video gives a good sense of just how huge the “Kölner Dom” is, with the tips of its twin spires shrouded in the clouds that day. 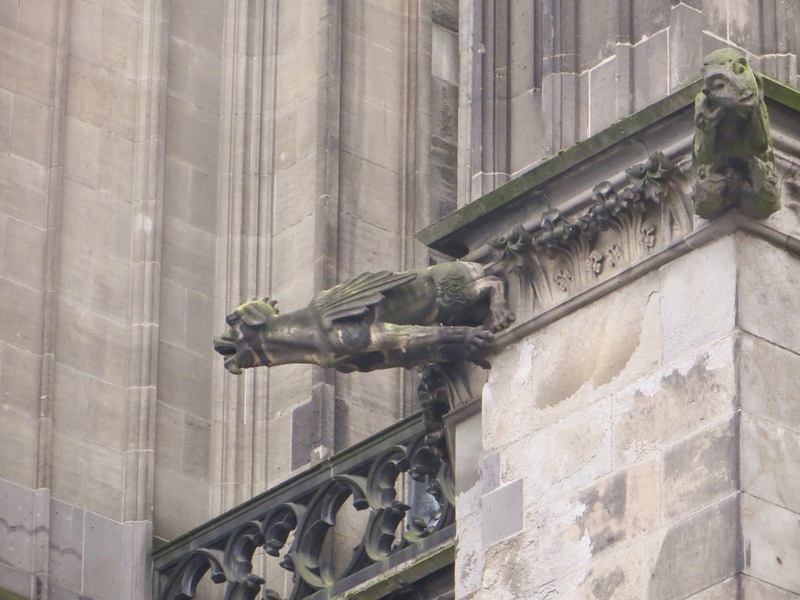 The exterior of the cathedral is so grand with its flying buttresses and elaborate carving. 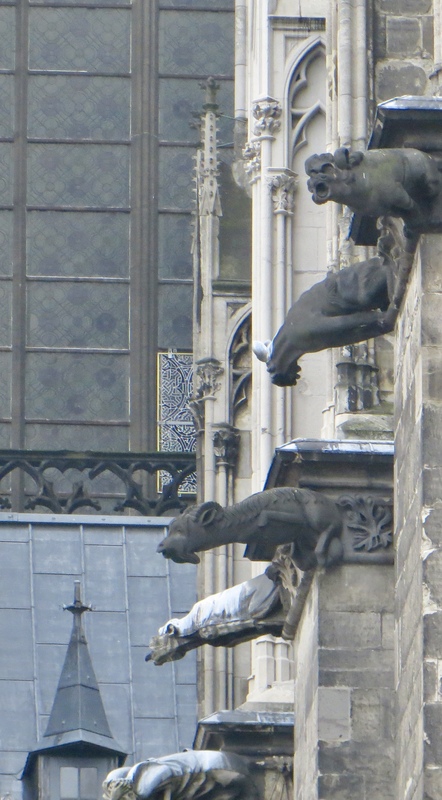 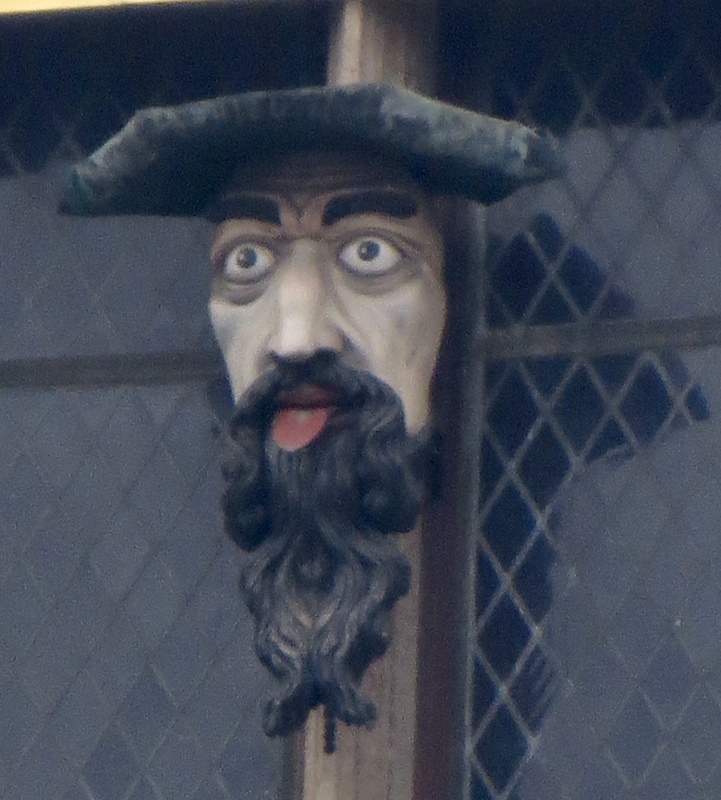 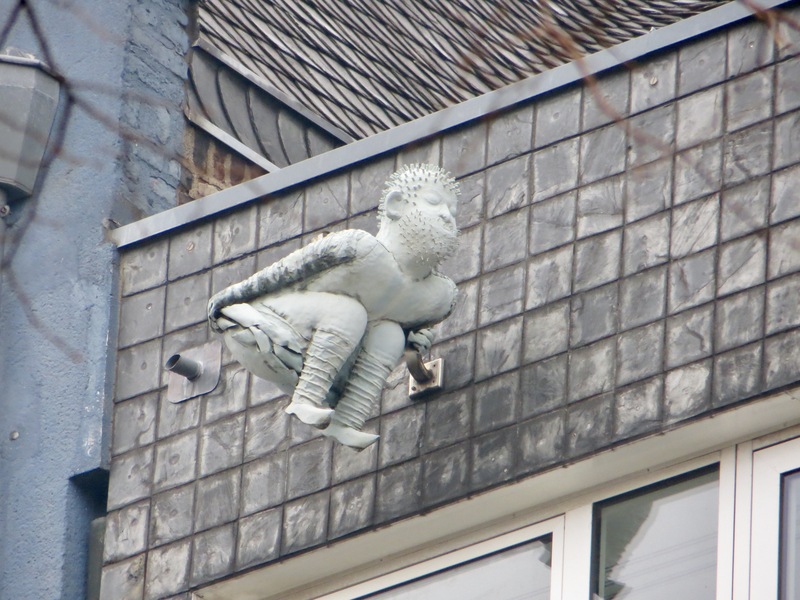 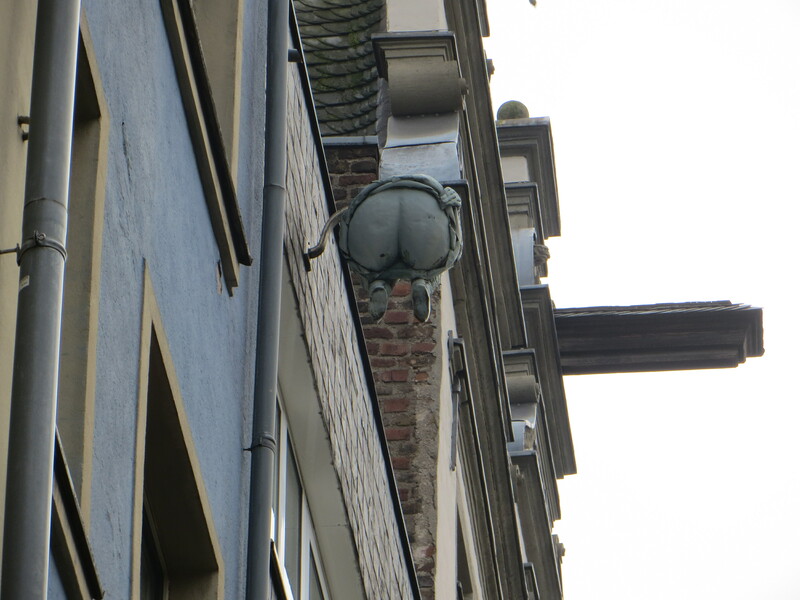 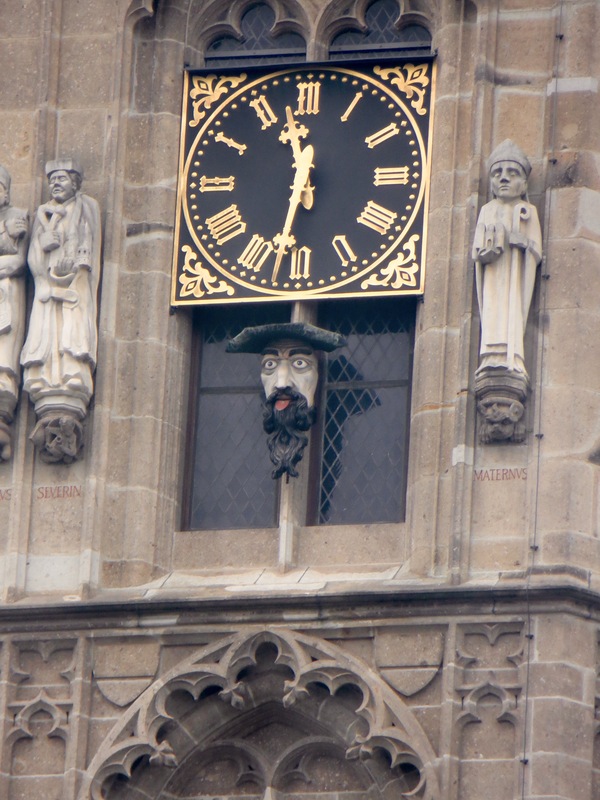 Zooming in on the details of the cathedral in Cologne not only reveals the usual collection of gargoyles, chimeras, and kings/bishops, but you can sometimes find some more modern forms projecting from the cathedral’s upper reaches. 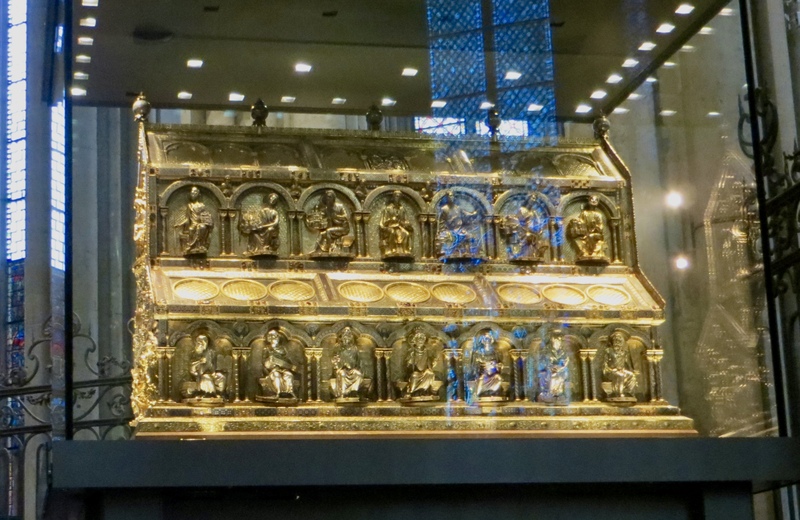 It’s hard to convey the grandeur and magnitude of the interior. 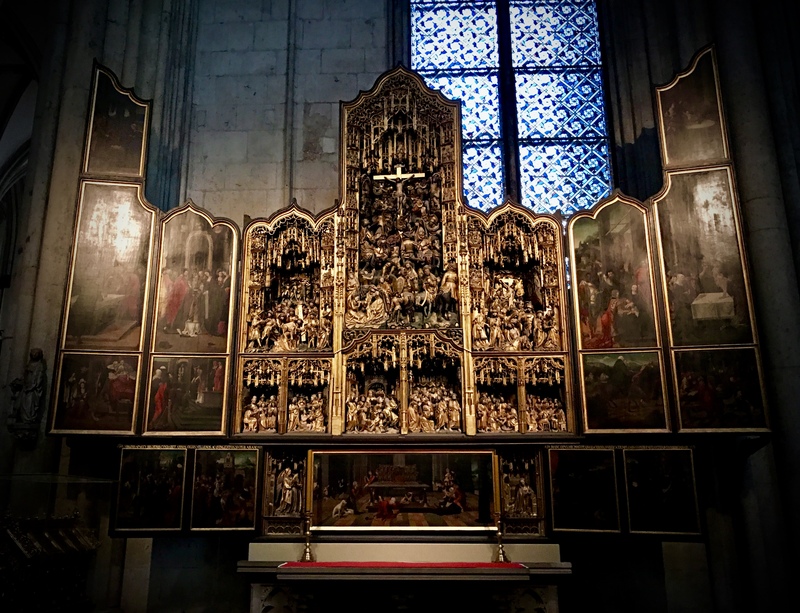 Take a look around inside this 360 degree image; you can zoom, turn, and look up and down to see more. 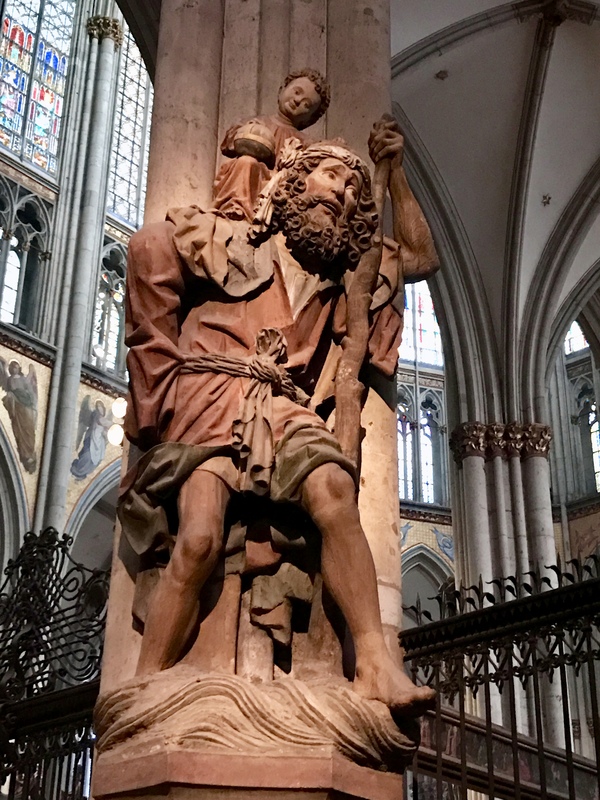 Cologne cathedral is not just big; it also includes elaborate carved altars and statues, as well as the golden Shrine of the Three Kings. 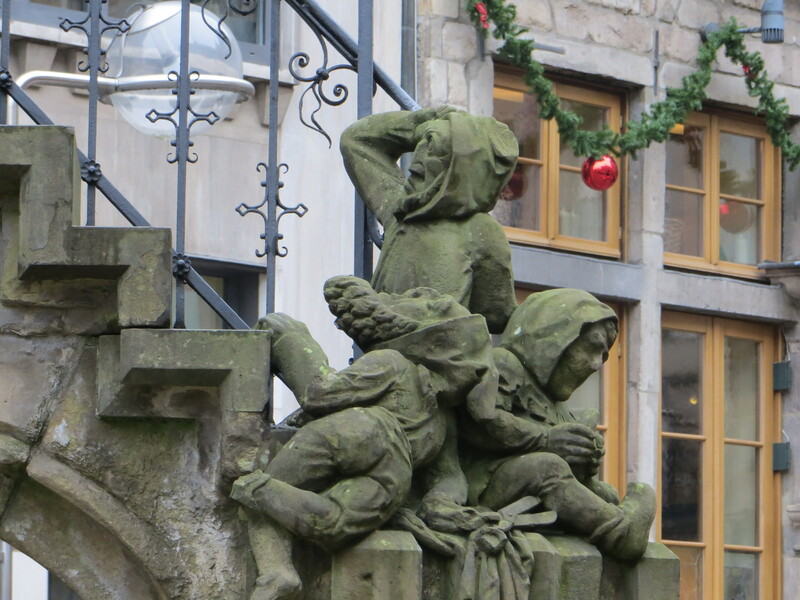 Our Viking guides made sure to point out for us various Cologne landmarks, including the fountain with its sculptures depicting the legend of the Elves of Cologne, the Gutter Shooter baring his rear end over the town square (and pointed somewhat toward town hall), and the town hall clock’s figure that sticks out its tongue when the bells ring. 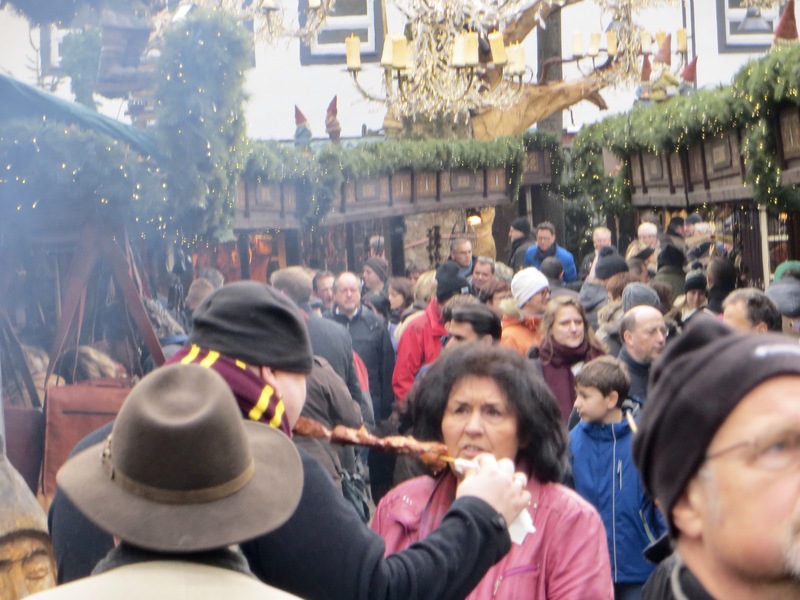 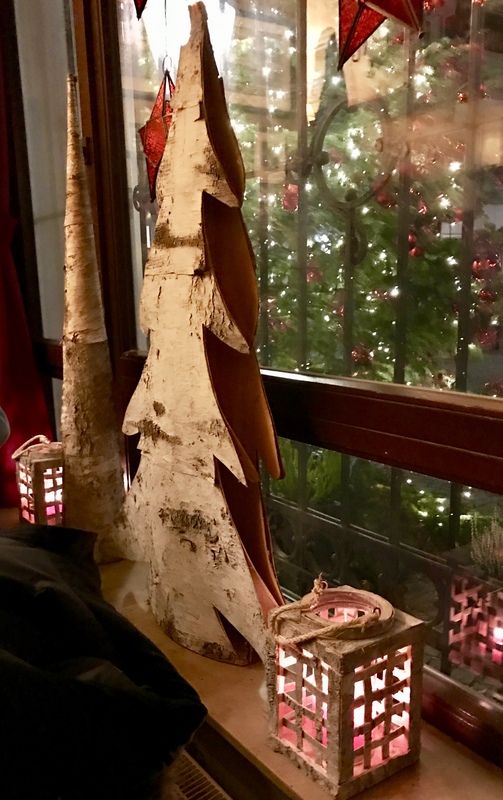 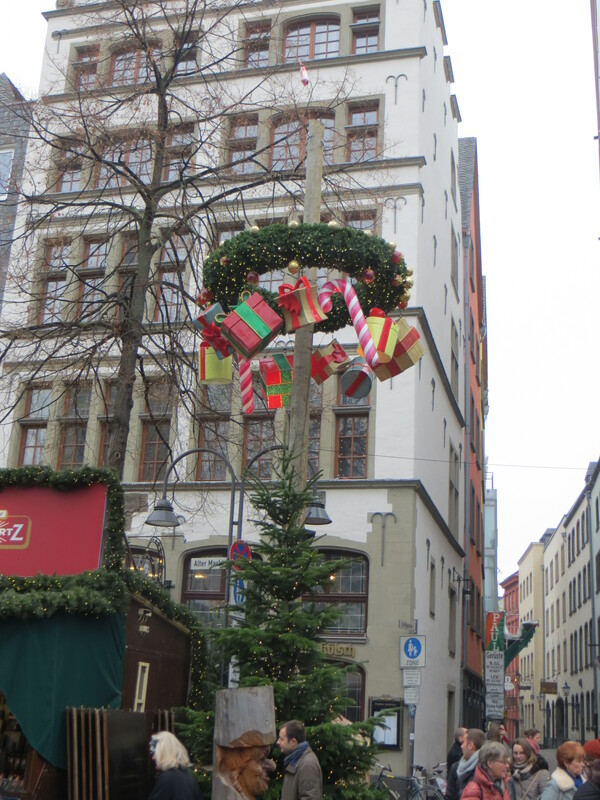 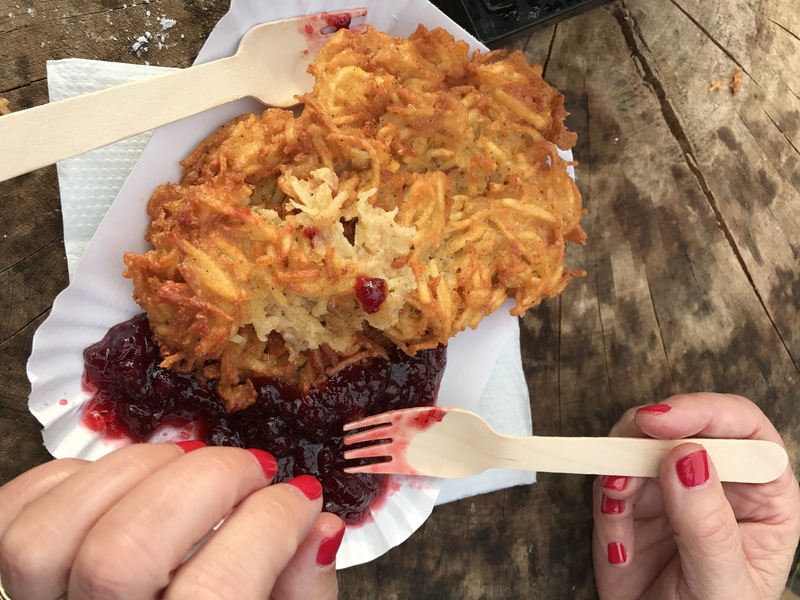 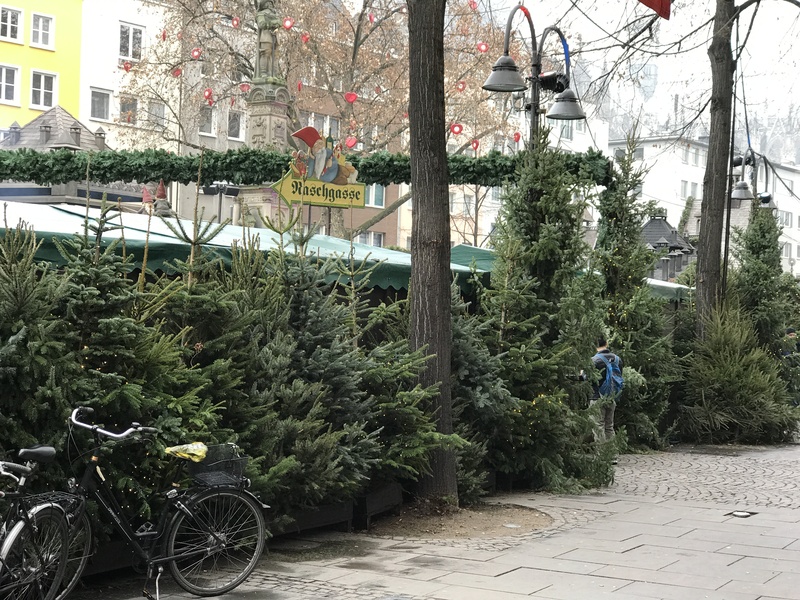 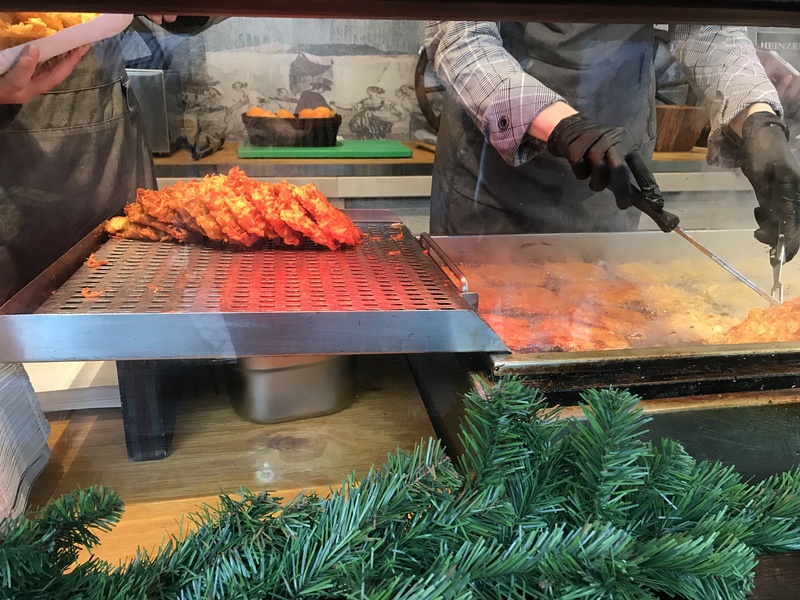 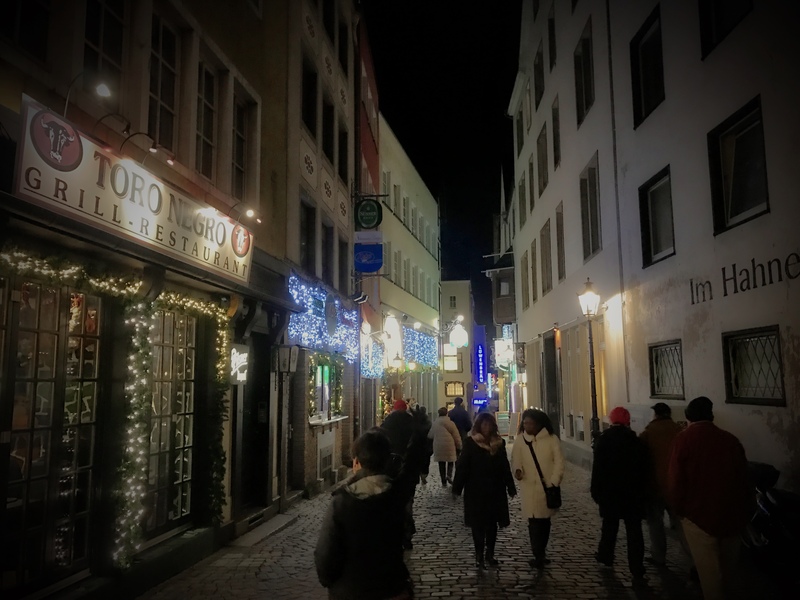 Of course, one of our big reasons for traveling on Viking this time of year is to be able to enjoy the various Christmas Markets at the stops along the way, with their craft stalls, holiday decorations, and unusually configured foodstuffs. 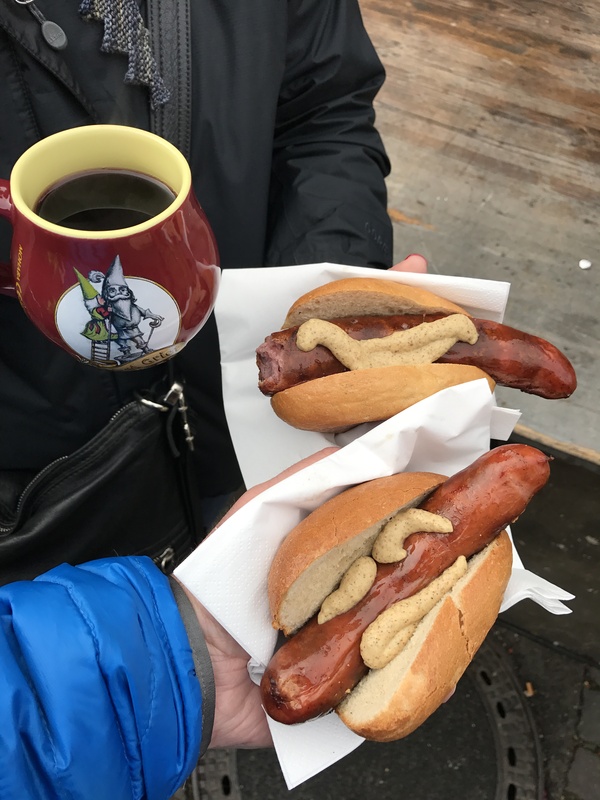 Speaking of food, Cologne had one of the cutest Glühwein mugs we’ve collected, solid wurst offerings, and our first exposure to the delicious fried potato patties. 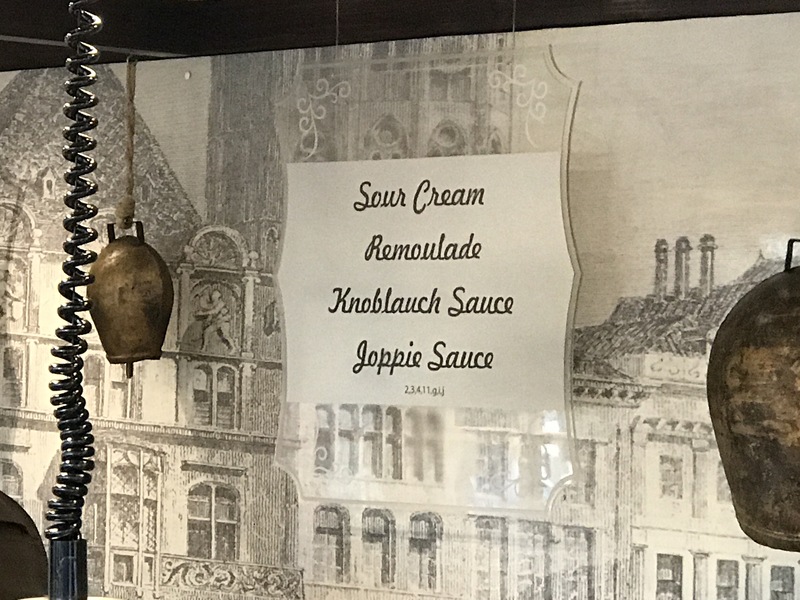 Whatever our berry sauce was, it wasn’t on the menu displayed below, but it sure tasted great. 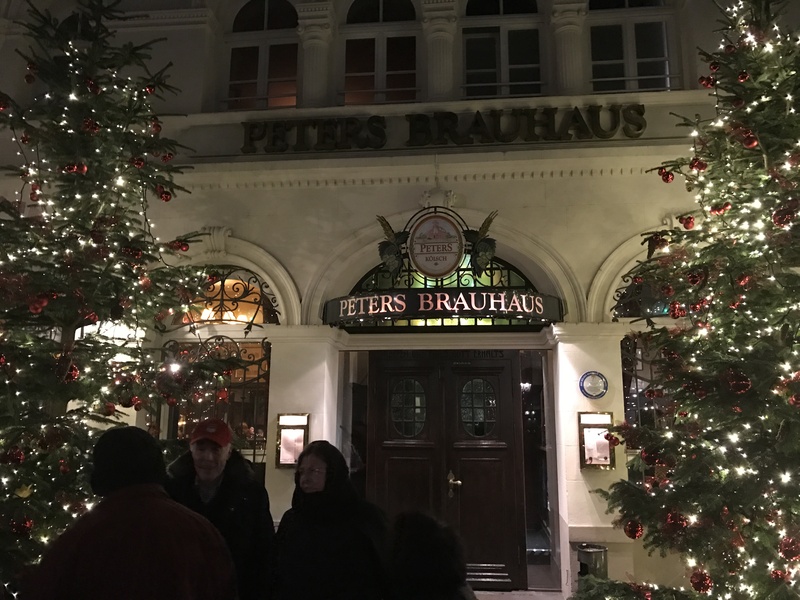 We took in an evening brewery (Brauerei) crawl where we had dinner at our first stop. 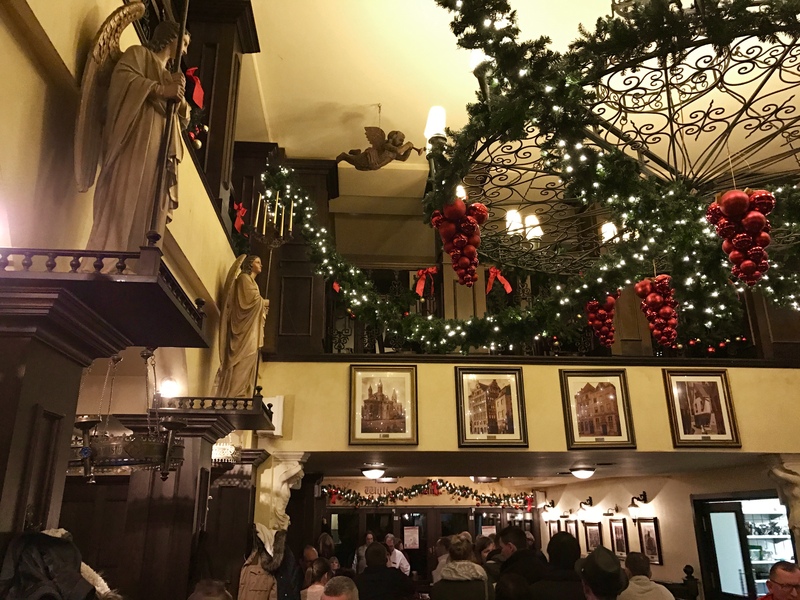 Most of the breweries were decorated for the holiday season. 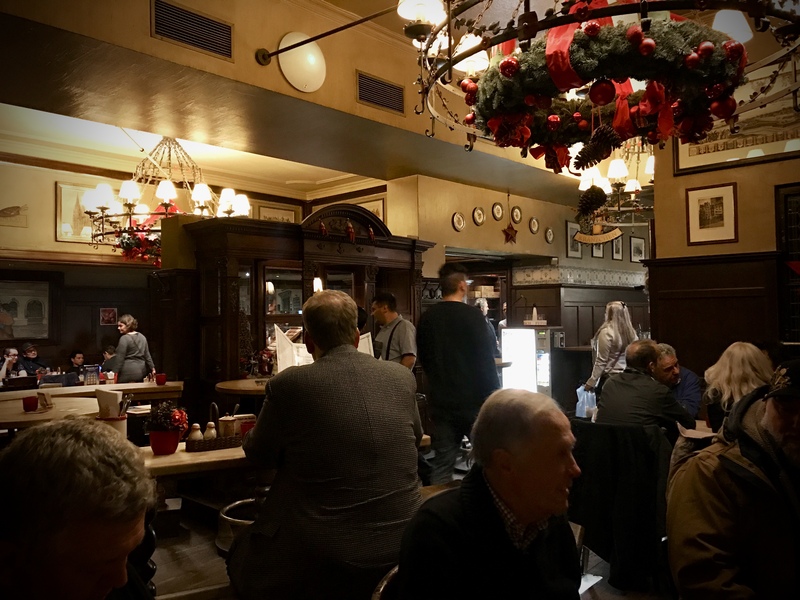 The interiors of the breweries/pubs were cozy and comfortable, especially on this chilly evening. 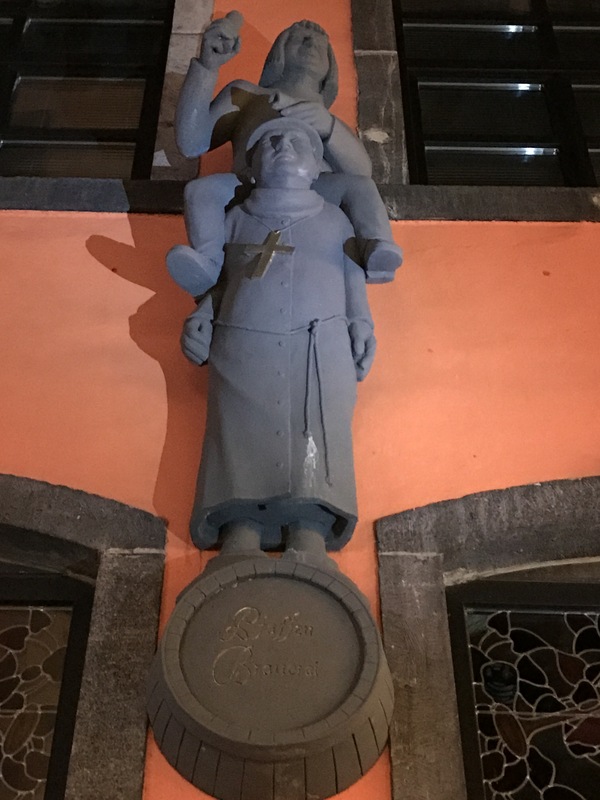 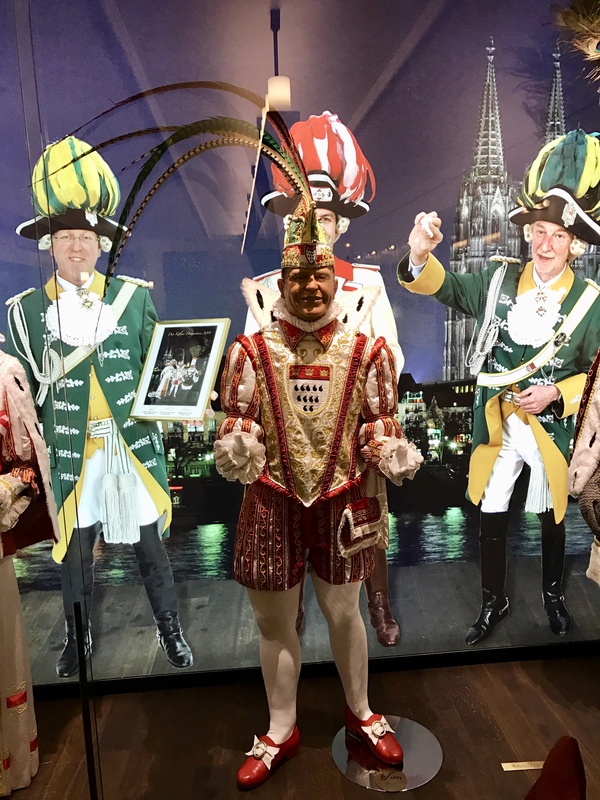 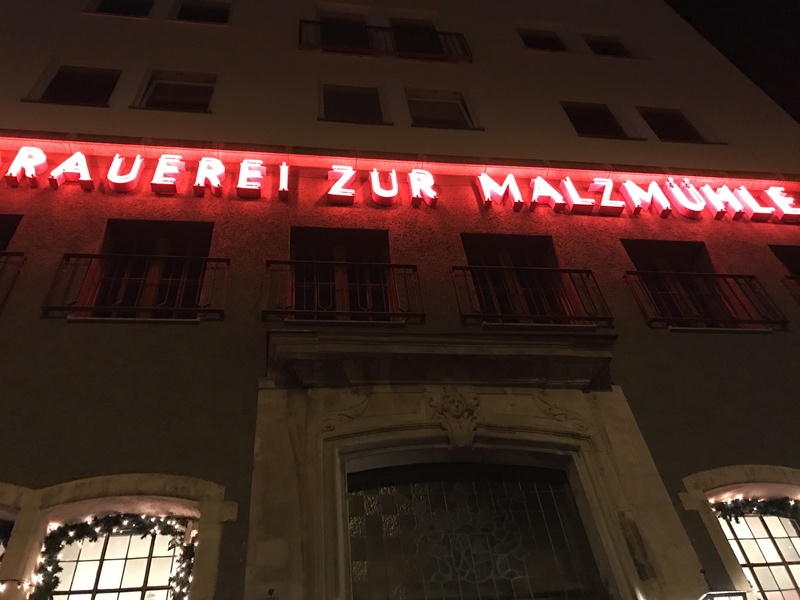 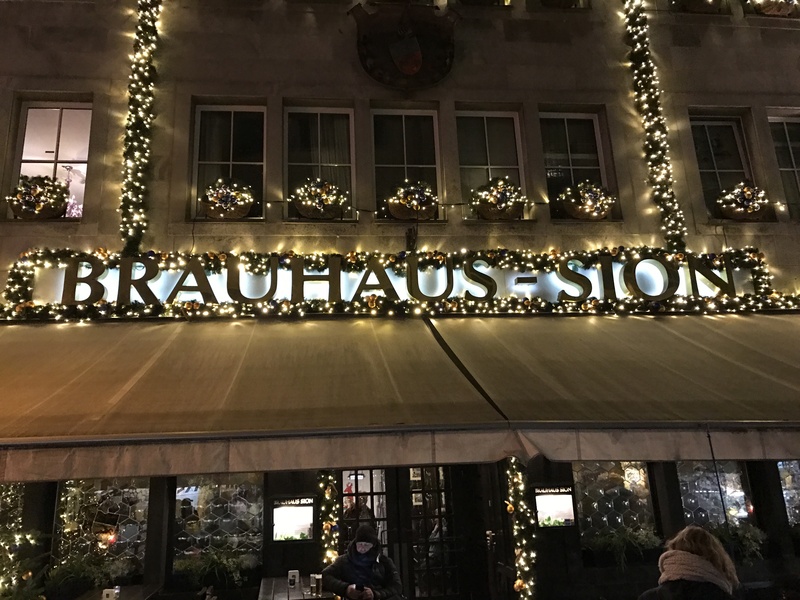 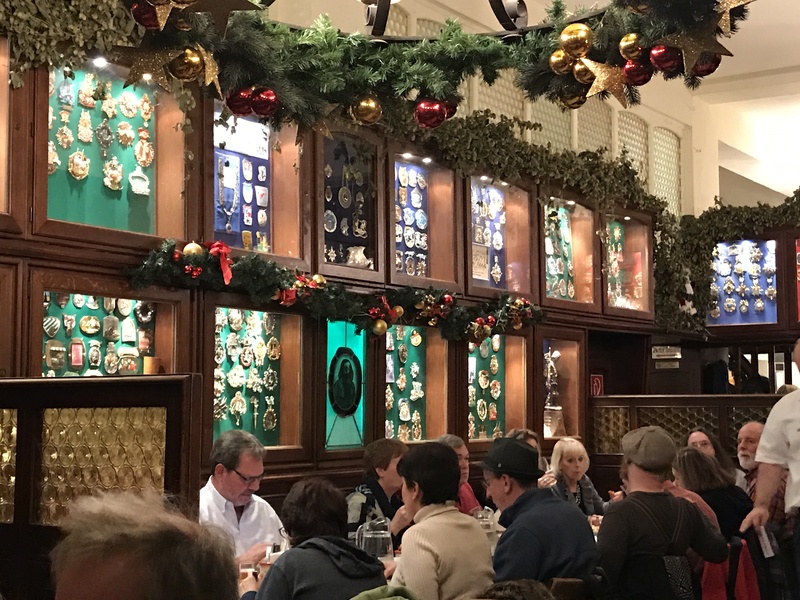 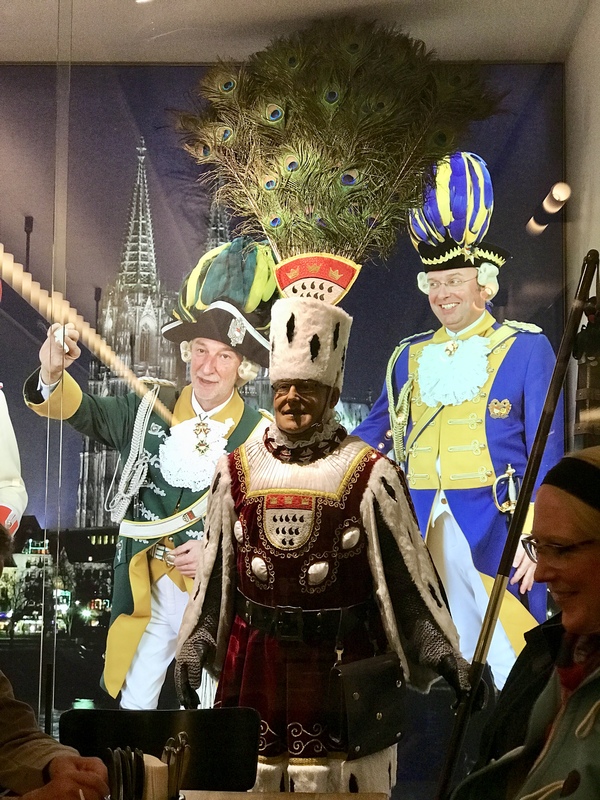 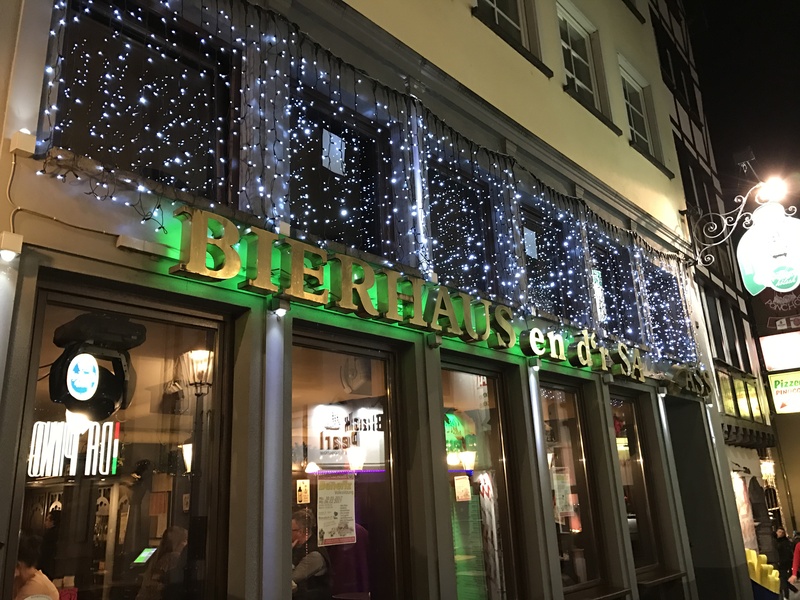 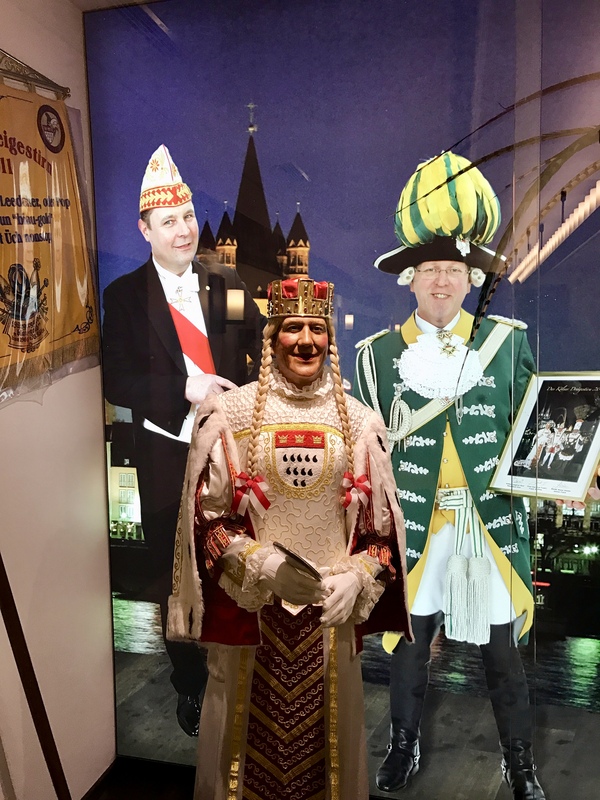 What we found so mystifying was why one particular Brauerei owner chose to memorialize his term as one of the Royals (we’re not sure if he was the Prince, the Virgin, or the Farmer) with a Madame Tussaud-like display in his establishment!